Photo by John Gaucher Images. Many of the team’s sponsors, including Garneau, Easton Cycling, Mad Alchemy, GORP, Crankbrothers, and Vittoria are returning for another year while the team has also added Mazda Canada, Bushtukah, SDG, and RaceClean as partners for the upcoming season. Easton Cycling has also stepped up as a title sponsor and will be providing the team with wheels, cranks and cockpit, posts and bartape for the season. The team will be riding Easton’s brand new and incredibly lightweight 442gram EC90 SL crankset which the team was involved in testing late last season in Europe. With Cinch technology the team will be able to quickly swap between different chain ring sizes depending on the course and conditions. Matching EC90 SL parts will complete the build showing that Easton carbon has the durability to withstand the punishment of cross, as every member of the team finished every race they entered last season. The team bike builds with be rounded out with SDG’s top quality saddles and Crankbrothers mud shedding Candy pedals. The team has also continued their relationship with Canadian-made GORP clean energy bar. This year GORP has stepped up their sponsorship and is offering a coupon code (“GORPlovesCX”) for all ‘cross fans that buy their bars online. The code kicks money back to the team to help get them to races. In a similar vein, Mad Alchemy will be again offering a custom embrocation blend for Garneau - Easton that will also share profits with the team. Finally, the team is also supported by Mazda Canada this season, and will be driving to races in a Mazda CX-5 equipped with Kuat racks. The CX-5 bears the CX name for a reason, it is the ultimate cyclocross vehicle with plenty of space, all-wheel drive, and fun to drive handling combined with fuel efficient SKYACTIV technology. 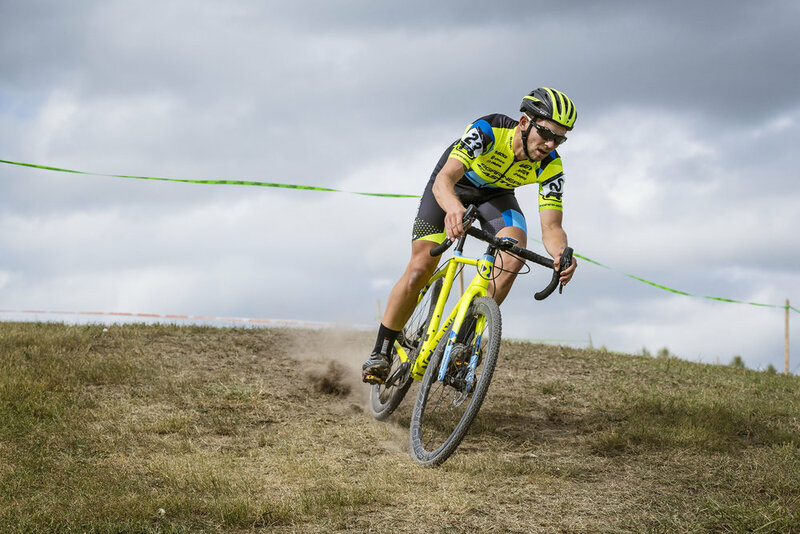 With the help of these partners, the team will kick off their season at Rochester Cyclocross on September 10 and 11 before showing their distinctive neon kits and bikes at the North American World Cups, the UCI C1 races, the National Championships, the European World Cups, and the World Championships. You can follow the team all season long on Instagram, Twitter, Facebook, and their website as they compete both at the highest level and in their local communities this fall.